This course covers the main types of commercial tourniquets including the CAT, MAT, SOFT T, SAM XT, STAT and Improvised Tourniquets. 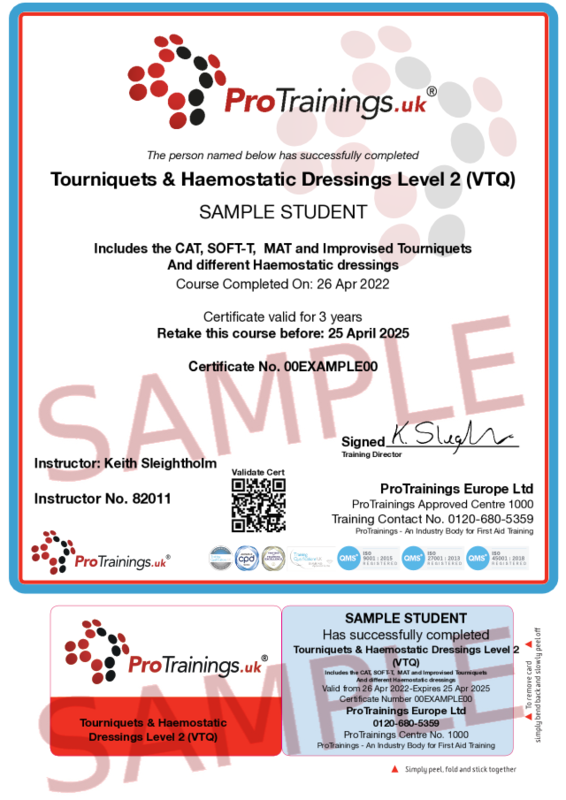 Haemostatic dressings from Celox, Quick Clot, Axiostat and other Haemostatic dressings and powders are also included. The course also covers the use of trauma dressings including the Air Wrap dressings. 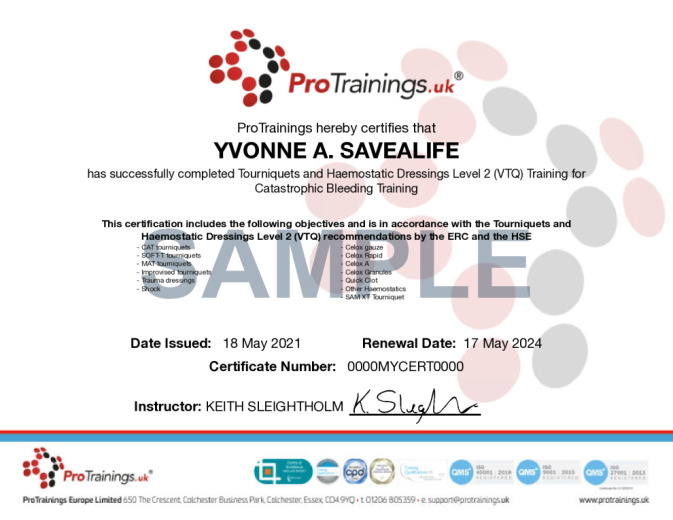 This course covers the use of the latest BSi Critical Injury Packs as listed by the HSE. We also offer courses in Major Incident Trauma and First Person On Scene coving advanced medical care. This course comes with 2.0 hrs (3.0 class) of CPD, although the time to complete the course online may be less than this. Total course time includes 1 hour and 26 minutes of video training as well as knowledge reviews, final test, remedial help and reviewing downloaded material. LO11. Explain the importance of monitoring and treating for shock.